This is part 3 of the blog series. You can read parts 1 and 2 by clicking the links below. One of the recent “hot” products entering the market are smart speakers. No, I’m not talking about a speaker that will refuse to play Nickelback or clean up the modern music to adjust language for family consumption (that is actually not a bad idea). I’m talking about products like Google Home, Amazon Alexa, Apple, and soon, many other smart speaker devices that will no doubt flood the market in consumer, enterprise, and industrial applications. Our technology analyst friends who predict the future are getting extremely excited as they point to growth patterns similar to the initial mobile app gold rush. Apparently, in less than 3 years (2020), 75% of US households will own a smart speaker (from current 7% in 2017). Or we’ll go from 23 million to 138 million devices in US alone, if you like to deal with numbers vs percentages. Global penetration of course will be much bigger as other vendors optimize their smart speakers for different geographies and verticals. One vendor (PLEN Cube) made a portable one – check it out if you have a moment. Developers are trying to cash in on this smart speaker revolution by writing interesting, innovative applications. Eventually, everyone will get tired of using their device as a timer, to check the weather, or ask for a joke and they will be looking to make it much more useful. Needless to say, there are billions of dollars waiting to get picked up if your “killer voice app” can see the light of day. Monetization of these applications will come but for now it tends to be either differentiation, value add, or convenience “features” of brands, large corporations, and other verticals. 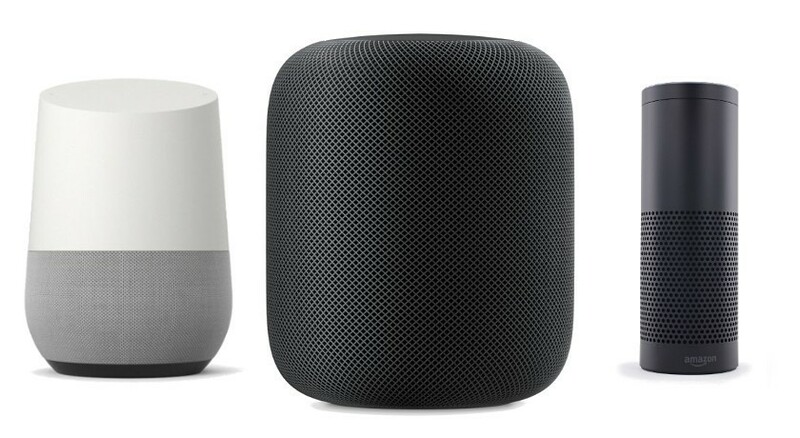 Service Providers should not be forcing you to pick a specific brand of a smart speaker. Some Service Providers (e.g. Orange with Djiango) are trying to create their own, but I predict that, unless they plug into a lively “app store,” their mileage will be very limited as consumers will be drawn to the constant gratification of new/cool apps being available to “cool kids” like Google, Amazon, and Apple. Service Providers are also not going to want to deal with multiple brands and get into “oh we currently support the older version for now and not the latest – check with us in 3 months,” or “you asked Alexa to turn off the light and it stays on?” (have a peak at my previous article on IoT Wild Wild West). What Service Providers are looking for is to solve some of their (and your) problems by leveraging this latest technology trend called smart speakers. For themselves, they will give you voice interfaces to check your data usage or one for your kids. They will want to give you ability to make calls, join conference calls, and send messages on their core networks. They will want you to go through the smart speaker to pay your bills and perhaps notify you of attractive offers or upgrades (lets all be careful here). They simply have to jump onto this medium as the past reluctance to leverage mobile data networks + slow innovation cost them a lot of traffic on their beloved SMS and voice networks. But wait – there is more. When you say “Conversational User Experience,” you can certainly envision talking to a smart speaker but it also means being able to message (you know the old typing into your phone or tablet) as you see fit. Perhaps you are watching a movie, so screaming “Alexa – order two large combos and 2L of pop using Dominoes” does not seem very classy; or perhaps you are at a family dinner and you quietly want to ask GoogleHome to tell you if your garage door is closed without alerting uncle Jimmy that getting into your garage to borrow the truck can be done by simply saying “Hey Google, open garage door.” This is a pretty simple scenario but you get the point. So messaging – talking to a robot – but via typing vs talking to a speaker. Definitely Conversational and definitely something that should go hand in hand with a voice driven user experience. Frankly, under the covers, the technology is exactly the same once you convert voice to text. So lets now imagine a Service Provider being able to be reached with voice for more immediate needs – “Alexa, use Rogers to call Grandma, Uncle Jimmy and Megan,” or “Hey Google, ask Vodafone to let me know when Megan is within 10% of her data,” or even better “Hey Siri, use Telefonica to tell me when I’m eligible for phone upgrade” – those requests will live asynchronously 'til conditions are met and you will get a fantastic surprise that you can upgrade to the iPhone 8 for free – LOL wishful thinking. Service Providers should not jump on the smart speaker or even broader conversational user experience because it is in fashion. They should realize that they are given two new unique inputs (voice and messaging) connected to bots that should bring them much closer to their user – very unique, very customized, very professional, very differentiated and above all very valuable to end users. 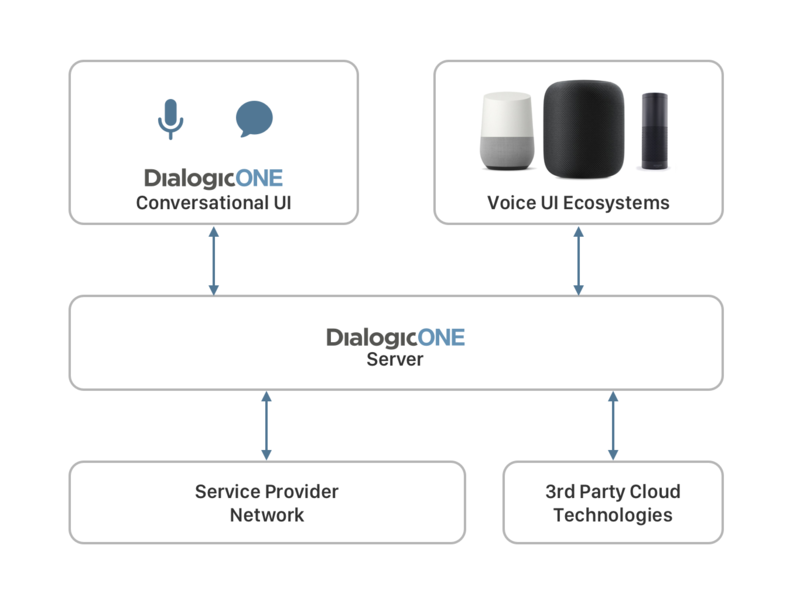 Dialogic is focused to help Service Providers deploy new applications and solutions quickly with our DialogicONE suite of solutions. We work on next generation solutions that bridge the silos, provide integrated platforms and create innovative applications quickly. We are experts in telecom with over 30 years of experience as well as architects of next generation applications and services built for Service Providers globally. We have solutions to above challenges and proven track record working with Service Providers to leverage the past to move aggressively into the future. Next time, we will look at the new ways Service Providers should think about leveraging their core networks including their IMS.